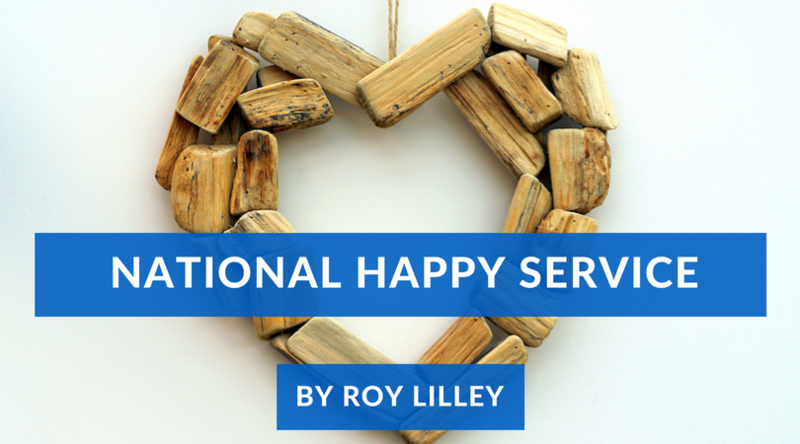 Roy Lilley has written down what so many of us talk about so often. Enjoy, and be good to hear your thoughts. You have to be watching like a hawk. Slowly the last vestiges of Andrew Lansley’s potty ideas are being airbrushed away. The Trust Development Authority… remember them? Swallowed up by Monitor. Monitor? Where have they gone? CCGs, merging and federating and getting ever closer to what PCTs used to look like. The Department of Health, supposedly working, arms length, via an annual list of things-to-do, called The Mandate, is all-over-everything on an hourly basis; blind political panic. Why is this happening? Because Lansley’s cuckoo idea that you could run the NHS with no one in charge, ‘distributed leadership’ and CCGs the size of a bridge club… doesn’t work. Getting back to something like a head-office, a regional office a district office and the local front-line made sense in 1948 and it still makes sense today. The absence of a strategic hand to pull things together, a muddle of regulators and a tangled front-line was never going to work. Slowly the NHS is getting back into a workable shape. The next moves are well under way but unless you are a student of the House of Common’s select committee system you won’t know. Indeed if you are a student and a close observer of the Health Select Committee you still won’t know. Tarzan saved the announcement of his next changes for the Public Accounts Committee. Good move. He knows where the power really is. The Treasury. The STPs, some looking rather battered, will be shaping the future. They’re to be called ‘transformation areas’ and are mapping out the future landscape. Far from remaining a coalition of the willing, they are to have ‘governance rights’. As near as damn it; strategic health authorities. They are to have teeth, some money and a boss. If you want more proof, Tarzan told the PAC; STPs are to ‘marshal’ CCGs and NHSE regional teams. ‘Marshal’ to do what? Expect around a quarter of the STPs to morph into accountable care organisations. ACOs; vertically integrated care systems working on a population based, captitated budget… without a commissioner in sight. We used to call ACOs ‘district health authorities’. CCGs will have a diminishing influence and a good thing to. Few of them can claim any success. They created a costly undergrowth that needs digging up and dumping on the compost heap of NHS ideas that didn’t work. GPs can get back to being GPs. In an era of austerity, uncertainty and demand outstripping supply there are few who won’t welcome these sensible and long overdue moves, back to reality and common sense. What is even more interesting; no MP was troubled in the making of the new NHS. No parliamentary time. I doubt if few MPs will have any idea what is going on. If only Andrew Lansley had resisted the lure of legislation and simply taken the pre-2010 NHS, cut the number of PCTs by half, introduced a management cost-cap and put more docs in the driving seat, his ideas might be alive to tell the tale. He can’t say he wasn’t told. He can’t say the NHS didn’t collectively beg him to give up with the H&SCAct. The Prime Minister almost lost his nerve and ordered a pause. The streets were full of protesters, social media full of abuse and the unions and Royal Colleges (apart from the surgeons) all spoke with a single voice; ‘don’t do it’. But he did and now it is quietly unpicked. I doubt there will be few tears. A silently as a cat-burglar and with the quiet menace of a submarine slipping along-side, the H&SCAct is being hollowed out and for the first time since 1990 the NHS is set to become a purchaser-free zone. The trick will be to create the new NHS ‘slim-line’. There is a fortune to be saved by putting an end to the costly, annual ritual of tendering. The Five Year Forward View, now only 200-odd weeks left, is starting to look jaded. It is due for a refresh in a couple of weeks time. I’m hoping for radical, bold, innovative and smart. These stealth moves are clever, thoughtful; the antithesis of Lansley. Now let’s sort out targets, the destructive, pointless CQC and see if we can get back to the National Happy Service.